The story begins on the outskirts of Leipzig. The client’s wish: To create their very own home for their family. The challenge facing the architects: A narrow, triangular parcel of land situated in a heterogeneous residential estate. 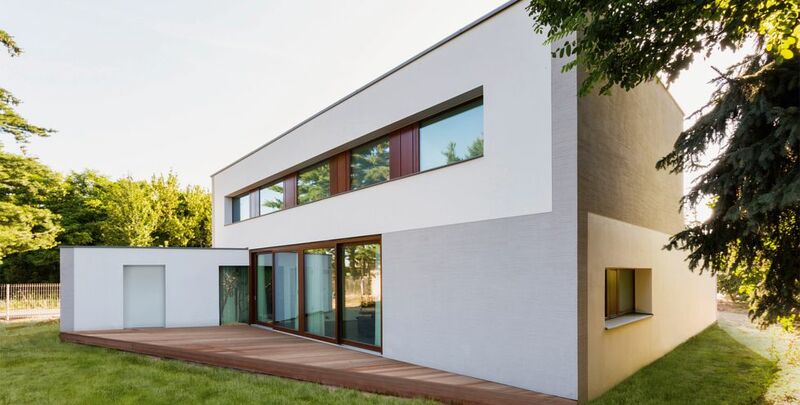 The impressive result: Today, a small villa formed by three structures. To fully utilise the limited space, three functional modules emerged for the needs of work, sleep, services and garage. These were stacked around a central open living space to preserve the open areas around the construction site for a later transformation into useful outdoor spaces. The result is a forecourt with an entrance to the east facing an open field and a sheltered garden to the west and the surrounding gardens. The family was joined in the house by their pets, with each of them receiving their own rooms. The semi-circular aviary of the two large parrots links the living room to the terrace. The grounds benefit from a Koi pond that can be slid under the terrace. The house itself remains closed at the ends of the three structures. 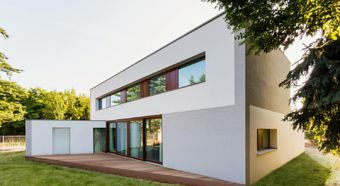 The structure and colour of the stucco façade was designed to merge the three base structures into a single, geometrically fascinating form. 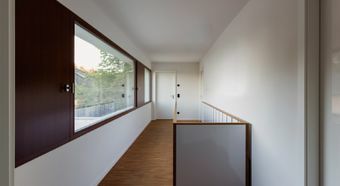 The windows unite across the long sides of the building into continuous bands of windows. The opening sashes of the deeply recessed bands are made from the same hardwood as the window frames. Thus, the dominant material of the interior already reveals its presence on the façade. 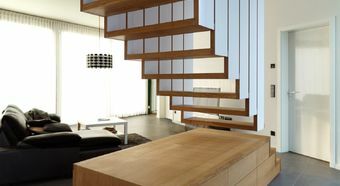 The open living room is divided by a suspended staircase of oak and glossy white. 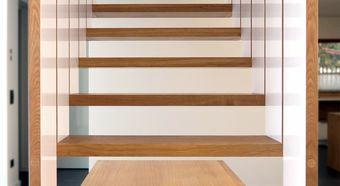 The oiled oak steps also define the material chosen for the flooring, kitchen and built-in furnishings. The electrical installation in the classic LS 990 series of switches in black sets a clear, purist accent. An entryphone provides security at the door. 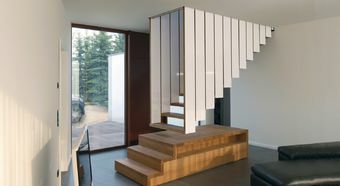 Features such as hands-free use or a distinctive acoustic ring for both the entry and inner doors ensure ease of use. 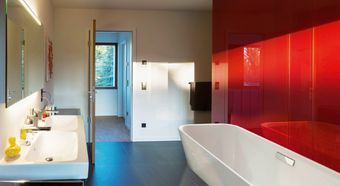 The home of the Leipzig family is not only stunning in form and design, but also in terms of energy. 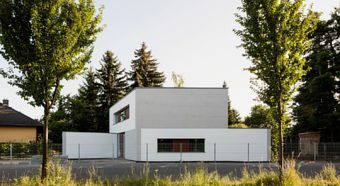 Despite its geometry, the building still meets the high KfW 70 energy standard thanks to a brine water heat pump and an active heat recovery ventilation system. Photovoltaic modules on the roof feed excess electricity into the power grid. 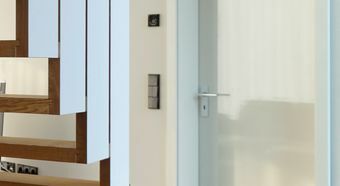 DCM audio indoor stations Functionality meets variety in design: Features such as hands-free talking or different call tones from entrance and apartment doors provide convenient usability.